The fractional-order derivative is a powerful and promising concept to describe many physical phenomena due to its heredity/memory feature. 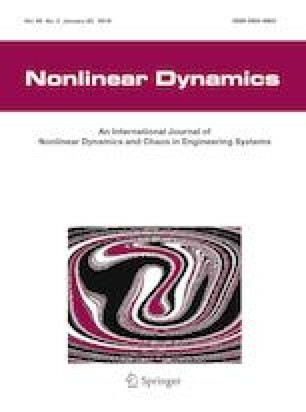 This paper aims to establish a general methodology for parameter identification of nonlinear fractional-order systems based on the time domain response data and the sensitivity analysis. The development of the enhanced response sensitivity approach is mainly threefold. Firstly, a computational scheme based on the Adams-type discretization and the Newmark-\(\beta \) method is presented to get the numerical solution of the nonlinear fractional-order systems. Thereafter, a hybrid strategy is developed to proceed the sensitivity analysis where the sensitivity to the fractional-order parameters is obtained through finite different calculation, while the sensitivity to other parameters is analyzed via direct differentiation. Secondly, the trust-region constraint is incorporated into the response sensitivity approach, and as a result, a weak convergence is reached. Thirdly, the optimal choice of the weight matrix within the framework of the response sensitivity approach is derived by minimizing the identification error, and eventually, the reciprocal of the measurement error covariance is found to be the optimal weight matrix. Numerical examples are conducted to testify the feasibility and efficiency of the present approach for parameter identification of nonlinear fractional-order systems and to verify the improvement in the identification accuracy brought up by the optimal weight matrix. The present investigation was performed under the support of National Natural Science Foundation of China (Nos. 11572356 and 11702336), Guangdong Province Natural Science Foundation (No. 2017A030313007), Guangdong Province Science and Technology Program (No. 2016A020223006) and the Fundamental Research Funds of the Central Universities (Nos. 17lgjc42 and 17lgpy54).